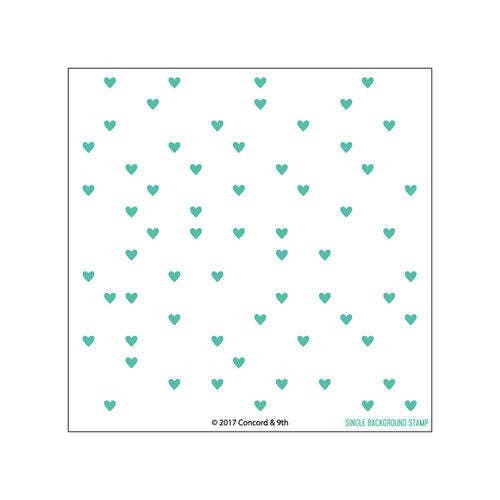 It's going to be raining hearts on your crafts when you use the Heart Turnabout Clear Acrylic Stamp by Concord 9th! The stamp of small falling hearts is just right for your Valentine's Day and love-themed projects. The package includes one turnabout stamp that measures 6" x 6". This stamp coordinates with the Heart and Love Die Set and can be used with an acrylic block of your choice each are sold separately.